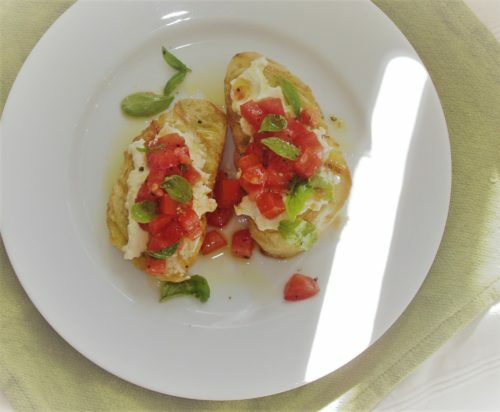 Toast Turkish or ciabatta bread and top with chopped tomatoes, fresh basil and Fat Hen Farm Basil Infused (or natural) Extra Virgin Olive Oil, s & p, which have been tossed together, then crumbled fetta. 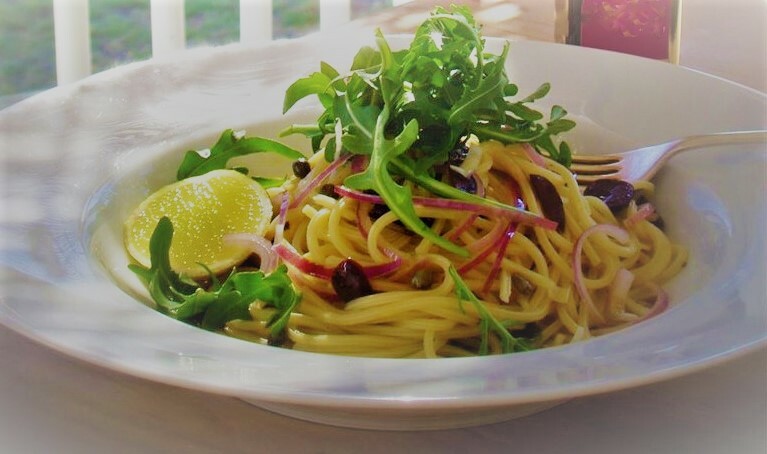 Slice black olives, Spanish onion, parmesan and drizzle with FHF Chilli & Lime Extra Virgin Olive Oil and wild rocket…so easy! 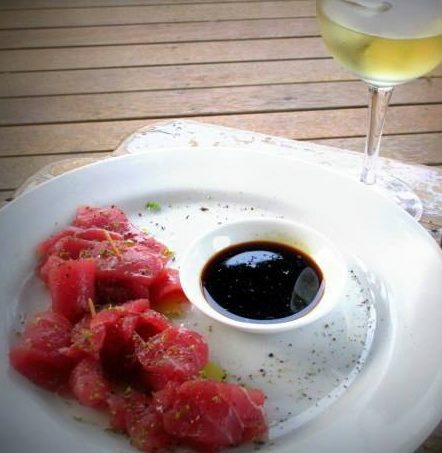 Thinly slice fresh Sashimi tuna, top with grated lime, cracked pepper and a drizzle of Fat Hen Farm extra virgin olive oil. Served with a dish of soy sauce. 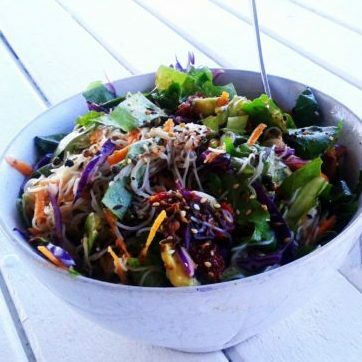 Soften vermicelli noodles in boiling water and drain, mix with chopped lettuce, red cabbage, grated carrot, chopped avocado and sliced sundried tomatoes and marinated tofu (optional). Drizzle generously with Fat Hen Farm Chilli & Lime Infused Olive Oil, soy sauce and apple cider vinegar. 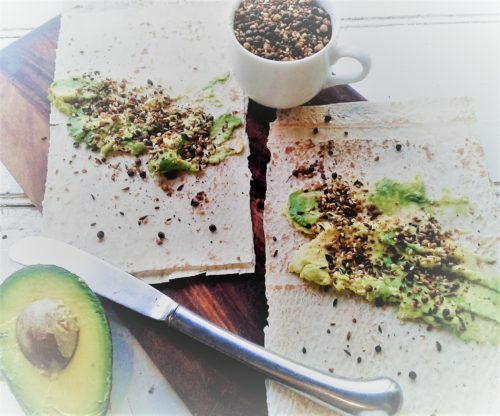 Scatter Fat Hen Farm Dukkah on top – delish! 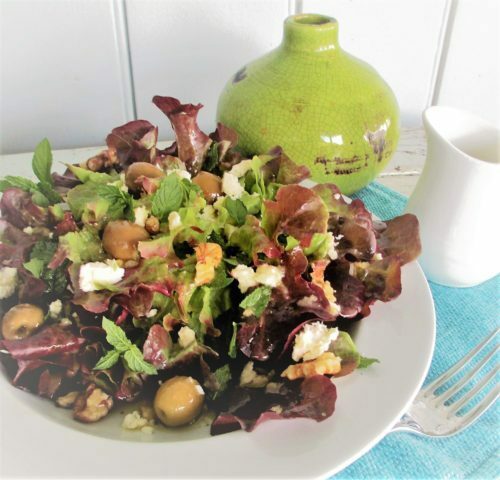 Toss together green olives, crumbled fetta, mint and walnuts with FHF Mint Infused Extra Virgin Olive Oil or a dressing made from Fat Hen Farm Extra Virgin Olive Oil and White Balsamic Vinegar… serve with BBQ’d lamb, chicken or seafood. Cook macaroni and allow to cool. Toss with black olives, lots of fresh parsley and seeded and chopped cucumber. Drissle with Garlic Infused Extra Virgin Olive Oil and a squeeze of lemon. Dust with paprika or chopped chilli. Put a small puddle of extra virgin olive oil in the bottom of each pasta dish before throwing the pasta and sauce on top – toss, wonderful! spread tapenade over a whole lamb leg roast before putting it in the oven – it will make wonderful gravy! 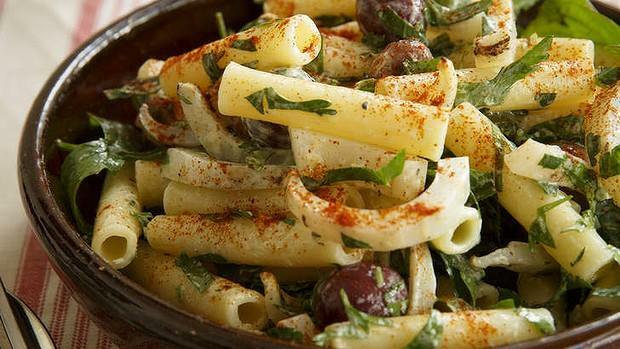 cook your favourite pasta, drain. 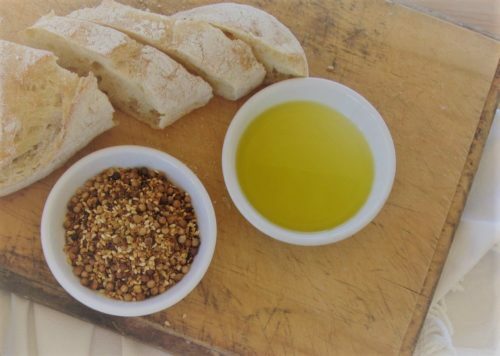 toss through tapenade then grate parmesan on top – easy!